The Vantage 1080HD video switcher gives the homeowner a convenient, future-proofed method of distributing crisp analog and digital high-definition video to multiple displays throughout the home. The customizable chassis ships standard with eight buffered HD component video inputs, two S-video/composite inputs, with digital audio inputs, and four zone outputs. The modular design of the 1080HD allows for multiple zone and source configurations to suit any project. 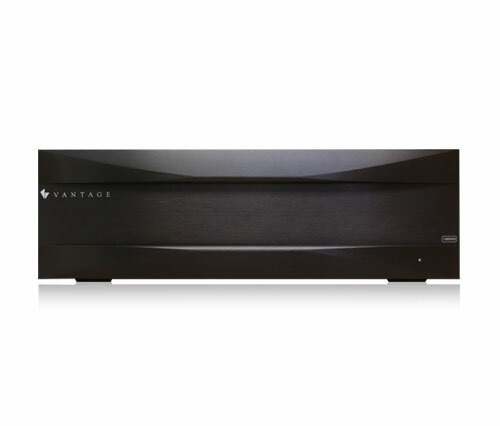 Through a simple card expansion, each Vantage 1080HD can be configured to support either a 10x4 or 8x8 setup.